AIM AND OBJECTIVE OF NFSB-The National Food Security Bill (NFSB) was originally introduced in Parliament in December 2011. The bill was cleared by a parliamentary committee in January. Lok Sabha on 8th May 2013 failed to pass because of opposite party not supporting the much-hyped National Food Security Bill which seeks to ensure access to adequate quantity of quality food at affordable prices to people. Food security means the easy availability and access of food at all times in sufficient quantity in a safe and nutritious form to meet the dietary requirements and food preferences for an active, healthy and productive life. The government may soon pass the National Food Security Bill to give millions more people cheap food, fulfilling an election promise of the ruling Congress party that could cost about $23 billion a year and take a third of annual grain production. The Bill seeks “to provide for food and nutritional security in human life cycle approach, by ensuring access to adequate quantity of quality food at affordable prices to people to live a life with dignity and for matters connected therewith and incidental thereto”. 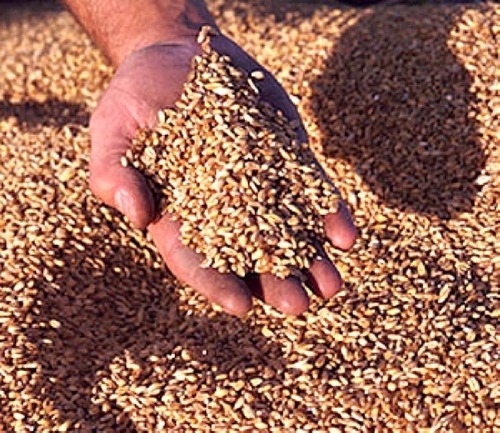 Right to food to become a legal right– The proposed bill aims to provide legal right over subsidised foodgrain to 67 per cent of the population. The bill provide uniform allocation of 5 kg foodgrain (per person) at fixed rate of Rs. 3 (rice), Rs. 2 (wheat) and Rs. 1 (coarse grains) per kg to 75 per cent of the rural population and 50 per cent of the poor in urban India – about 800 million people. Continuance of Antyodaya Anna Yojana (AAY) – Protection to 2.43 crore poorest of poor families under the Antodaya Anna Yojana (AAY) to supply of 35 kg foodgrains per month per family would continue. Nutritional support to pregnant women without limitation are among other changes proposed in the bill. The bill will extend subsidized food to pregnant women and children under the age of 16. It is positive that it is including those who really need nutritious food The Bill proposes meal entitlements to specific groups. These include: pregnant women and lactating mothers, children between the ages of six months and 14 years, malnourished children, disaster affected persons, and destitute, homeless and starving persons. For children in the age group of 6 months to 6 years, the Bill guarantees an age-appropriate meal, free of charge, through the local anganwadi. For children aged 6-14 years, one free mid-day meal shall be provided every day (except on school holidays) in all schools run by local bodies, government and government aided schools, up to Class VIII. For children below six months, “exclusive breastfeeding shall be promoted”. Endevours to empower woman- The eldest woman in the household shall be entitled to secure food from the PDS for the entire household. Bill seeks to utilize already existing infrastructures like PDS and aganwadi’s. This has prevented further wastage of money to develop the infrastructures. Credibility of PDS system- The government intends to use the Public Distribution System for delivering subsidies to the poor. The PDS is already used to deliver food subsidies to the poor but around 51% of the food delivered that way is currently lost to leakages. It is sold on the open market for a higher price. The government is also considering using direct cash transfers. In cases where the government is not able to make food available in the PDS then they will give cash payments to be used for food directly into people’s bank accounts. I think here bill is deviating from its purpose. Bill is to provide access to food not money in lieu of food. The cost of food grains is rising globally then how would government be able to provide subsidized food to 70% Indian population? What are we going to do in a drought or a flood? The production of rice and wheat might come down dramatically. If we are entering the global market then the global price would shoot up along with the subsidy bill. If this situation prevails and climate change takes, place what is going to happen? Effect on farmers and producers- The very low prices of the subsidized food will distort the market and farmers who can’t sell to the government-assured program will lose out on the open market because prices will be forced down. Hence the person who are not poor at present but will become poor in days to come. How to be implemented? Things are not very clear how it will be initiated. Every district will have a grievance officer who will deal with complaints about implementation at the local level. We don’t know how that will function but they have the authority to punish people who are not giving out the food. Still the commission under this bill is yet to be set. Failure to define the beneficiaries are some of the shortcomings of the bill. Also, the scheme does not define the beneficiaries properly. The bill says that States will provide the list of the poor but they have no such records. So, whether it will reach the right persons is hypothetical. Division among three groups – priority, general and excluded – and adopting a complex, impractical and politically contentious ‘inclusive’ criteria that too to be provided at later stage. Not enough resources- Moreover, to implement this scheme, the total estimated annual food grains requirements will be 61.23 million tones and is likely to cost Rs.1,24,724 crore. Given the rising costs of the scheme and rising population, its sustainability is under question. This is a mega program and will require a huge food subsidy. The cost of it will go up from 0.8% of Gross Domestic Product to around 1.1% of GDP. This is a serious increase in a situation where the government does not have enough resources as it is. Based on schemes which are itself in trial stages- It will be linked to the Aadhar scheme which provides every citizen with a unique identification number that’s linked to a database that includes the biometrics of all card-holders. Aadhar scheme and direct cash transfer both are in their trial stages. So burdening an still developing programme will lead to total failure. Implementing this bill could widen the already swollen budget deficit next year, increasing the risk to its coveted investment-grade status. The government has already budgeted 900 billion rupees for the scheme in the current fiscal year ending March 2014. If the bill is passed, it will need to come up with as much as 1.3 trillion rupees in 2014/15, adding to a total subsidy burden that already eats up about 2.4 percent of gross domestic product. Critics say the food bill is little more than an attempt to help Congress, reeling from corruption scandals, win re-election in a vote expected by next May. Critics argue that eradication of malnutrition needs more than just removal of hunger. Food security is necessary but not sufficient for nutrition security. We should have learned lessons from the Mahatma Gandhi National Rural Employment Guarantee Act (which provides 100 days of work to the poor at 100 rupees a day) and strengthened it to make it more effective to help the very poorest. Those who are part of that program should be targeted for this subsidy. Or we could link it to education as they did in Bangladesh where school children and their families were given access to subsidized food. The bill should have included subsidized rates for pulses which for many of the poorest are their only source of protein and highly nutritious. The price of pulses has gone up, making them out of reach for many. We need to reduce the leakages from the distribution system and make it transparent. This bill has transparency provisions but do not provide how this transparency shall be achieved. Community based agricultural programs and teaching about sustainable farming shall enhance production in the country. And this in turn would bring down the prices of various essential commodities and people can be self sufficient themselves. Relieance on government programs would reduce and this would give people a feeling of security and not fear of dependence. For reducing loopholes in PDS system government must take lessons from Chattisgarh government where after the delivery is made to PDS branch, all the beneficiaries get a message though mobiles about the same, so they know about it and reach to PDS branch on time. CONCLUSION– The UPA government is likely to roll out its two flagship initiatives — food security bill and land acquisition, rehabilitation and resettlement bill — through the ordinance route, within this month. One plan is to bring the food bill ordinance next week and the other one between May 22 and 24. This bill is a good initiative but not a sufficient measure. A more better food security bill can be there. But still something is better than nothing.